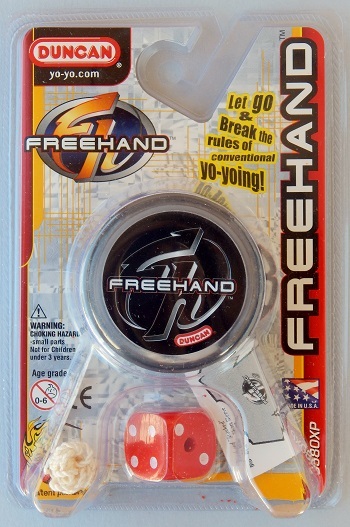 Friction stickers, bearing axle, and extra wide design for easy catches. And the new shape is similar to the Duncan DragonFly. Comes with extra string and a dice. See also the Duncan Freehand 2 mini.